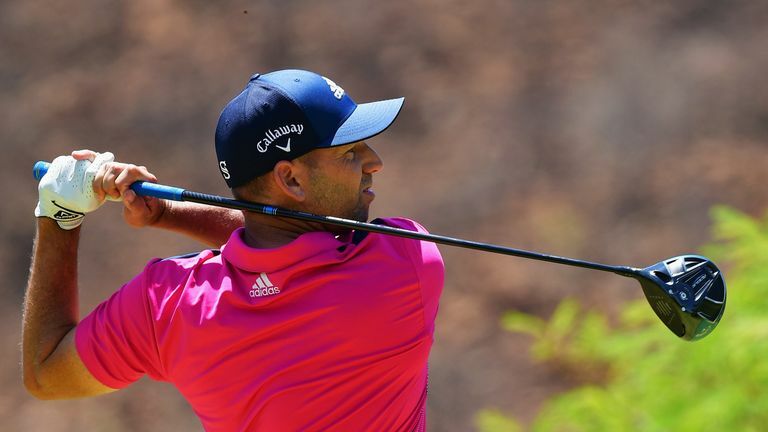 Sergio Garcia reflects on posting a one-under 71 and holding on to top spot at the Nedbank Golf Challenge. Rory McIlroy has admitted that improvement is needed in his game after failing to make the most of a strong start to his week at the Nedbank Golf Challenge. Report and highlights from the second round of the Nedbank Golf Challenge. The Northern Irishman was three under after 13 holes on Thursday but stuttered home to a level-par 72, before following it up by mixing four birdies with three bogeys in a second-round 71. McIlroy, arriving in South Africa knowing that he needed at least a runner-up finish to stay in with a chance of ending the season as European No 1, now heads into the weekend eight strokes adrift of midway pacesetter Sergio Garcia. "It has been a frustrating couple of days," McIlroy said. "My game is not really where I want it to be, but I've got two more opportunities this week to try and put a couple of good rounds together and then go to Dubai and try to finish the season on a high. "I haven't been giving myself that many chances to be fair. It was good the first few holes today, but I was very scrappy on the way in. I haven't been putting myself in position off the tee to give myself chances with irons to get it close enough to have a good look at birdie. "I need to tidy up my game off the tee, and then if I do that you can give yourself a lot of chances around here, but you need to get the ball in the fairway first." Garcia held a four-shot lead after the opening day but carded three three-putts on his way to a second-round 71, cutting his lead to a single stroke at the halfway stage. R2D: Who can still win? "It wasn't the ideal finish," Garcia told Sky Sports. "My goal for the day was to shoot a sub-70 round and I had the chance to on 18. We are still in the lead and it's not a bad spot to be in." Watch the Nedbank Golf Challenge throughout the week live on Sky Sports. Live coverage continues on Saturday from 7am on Sky Sports Golf.